If you’re in the market for an interchangeable lens camera, you’ve probably heard the term “crop factor” thrown about in reference to different formats. Basically, crop factor refers to how the field-of-view of a given lens changes with different sensor sizes. The term itself comes from the fact that a smaller sensor sees a smaller portion of the scene, and therefore crops the image relative to a larger sensor. Sensors come in many sizes, and, in general, physical size has a greater bearing on image quality than the number of megapixels. The short explanation for this is that a larger sensor gathers more light, and light is what photography is all about. This is true even with film: Larger film formats result in higher image quality, which is why Quentin Tarantino made such a fuss about The Hateful Eight being shot on 70-millimeter film. However, larger sensors necessitate larger lenses and thus lead to heavier and bulkier camera systems, overall. 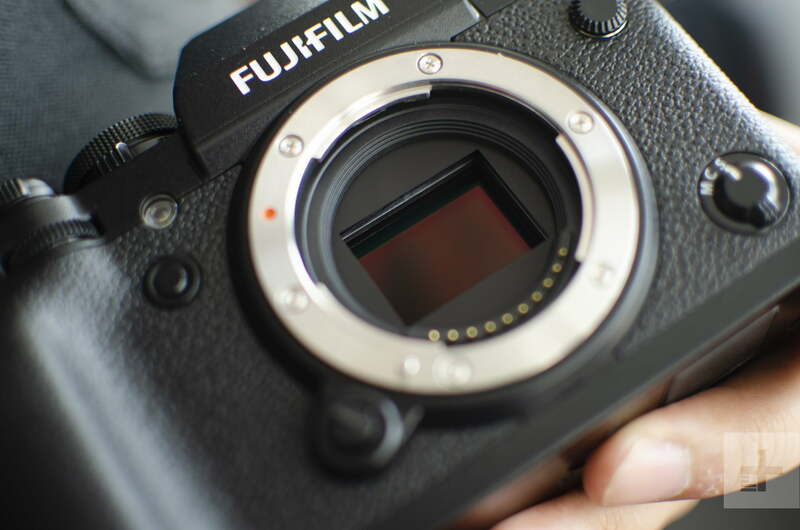 As smaller sensors have improved in image quality in recent years, many people simply don’t need the quality bump that comes with upgrading to a larger format. You need to consider weight and price into the equation, which often gives an advantage to smaller formats. Among consumer cameras, crop factor is always in reference to “full frame,” a sensor size equal to a frame of 35-millimeter film. So the crop factor is the ratio of the image sensor size to 35mm film. This means that your Nikon D850, Canon EOS R, Sony A7 III, or other full-frame camera has a crop factor of 1X. Micro Four Thirds (MFT) cameras, like those from Olympus and Panasonic, have a crop factor of 2X, while APS-C sensors have a crop factor of 1.5X (unless it’s a Canon, and then it’s 1.6X, because Canon had to go and be different). Oh, and just so you’re aware, Nikon refers to its full-frame cameras as FX and its APS-C cameras as DX. Confused yet? What this means is that if you have a 50-millimeter lens and put it on an APS-C body, it will offer an equivalent field of view of a 75-millimeter lens on a full-frame camera (50 × 1.5 = 75). Likewise, on an MFT body, it will look like a 100-millimeter lens, as if being “zoomed in” by a factor of two. Speaking of lenses, it is possible to use a lens from a larger format on a smaller sensor, either through direct compatibility (e.g., Nikon FX to Nikon DX) or with an adapter (e.g., Canon full-frame to Sony APS-C). Going the other way around, while technically possible in some cases, is not generally recommend, as a lens made for a smaller format won’t project an image circle big enough to cover a larger sensor (so you shouldn’t use an MFT lens on an APS-C or full-frame camera). Crop factor can also be applied to aperture, and illustrates how sensor size affects both light sensitivity and depth of field. A wider aperture lets in more light and creates a shallower depth of field. A full-frame lens with an aperture of f/2.8 will have an equivalent aperture of (roughly) f/4 on an APS-C camera, or f/5.6 on an MFT camera. This means it is possible to achieve a shallower depth of field (think blurrier backgrounds) with a larger sensor, all else held equal. This does not mean that if you put a Nikon 50mm f/1.4 FX lens on a DX body that the camera will indicate the lens is f/2 — it won’t. This is simply a way to understand how sensor size impacts depth of field and sensitivity. While the ideas of equivalent focal length and equivalent aperture can be confusing, for the regular consumer, the most important thing to remember here is simply this: What you see is what you get. All you really have to do is slap a lens onto your camera and look through the viewfinder or LCD. You don’t have to perform any math in your head if you don’t want to. That said, it is helpful to keep these concepts in mind when shopping for a new camera or lens, especially if you currently shoot one format and are considering switching to another. Knowing how lenses will behave differently from what you’re used to will help guide you to the right purchasing decision.